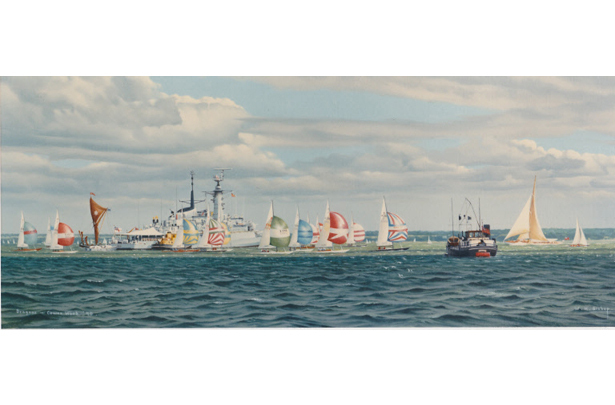 The Dragon class charge off on a broad reaching start to their race during Cowes Week , passing the Royal Naval frigate guardship of that year. To the right in the near distance can be seen the newly restored J-class yacht Velsheda broad reaching in the opposite direction. Below her is a committee barge waiting to check in finishers from the various keelboat classes.